No doubt we need better ways to test for consciousness, as much as we need better definitions. From the point of view of science, Consciousness is a controversial and quite elusive phenomenon and trying to build good tests is actually a crucial part of the quest to understand it. Assessment and definition are always inseparable (otherwise, we wouldn’t know what we are testing). Effectively testing for consciousness in humans is something we take for granted, specially when we put our trust in anesthesiologists right before going into surgery, or when ER physicians perform a Glasgow coma test to assess the level of consciousness of a patient. Assessing the level of consciousness in human subjects is usually a non problematic or challenging task (except from locked-in syndrome patients and the like). However, when we consider the vast number of other sorts of organisms, such as other animals, plants and machines things get much more complicated. The problems is essentially the same for all creatures, and scientifically speaking it involves the very same problem. However, there is a huge difference when we speak about humans: for humans we do assume consciousness as a legitimate feature of the living organism. So, what do we do if we want to come up with a universal test for consciousness? One that might be applicable to virtually any creature possible, including biological organisms, artificial machines or cyborgs? What features or what measurements do we need to do? In other words, what is consciousness made of, so we can measure it? As neatly described by Musser in his aeon essay (Consciousness Creep. Our machines could become self-aware without our knowing it) we are making efforts, and hopefully some progress, into building new ways to test for consciousness. 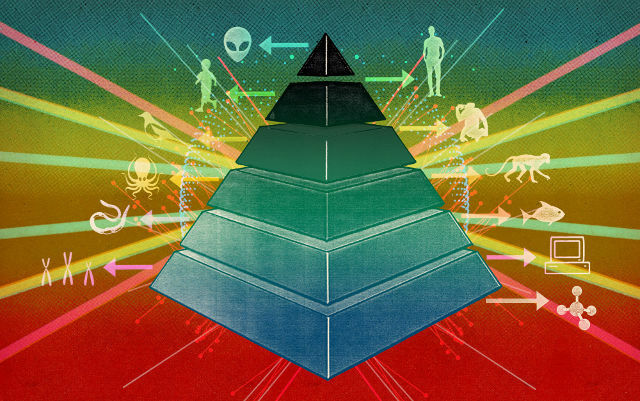 ConsScale is an example of this quest for both understanding and measuring consciousness. Musser presents in his essay several of the tests that have been recently proposed, explaining the vision and position of the authors, including my own. It’s interesting to see how different approaches for testing imply different assumptions about what consciousness is. Tononi’s approach is based on the Information Integration theory, ConsScale is based on cognitive development, Haikonen stresses the importance of inner talk, Schwitzgebel raises the question of consciousness in groups (super-organisms). Perhaps we need to look for a new approach able to deal with all these aspects within the same framework. Author Raúl ArrabalesPosted on March 16, 2016 Categories Artificial Intelligence, Cognitive Science, Machine Consciousness, RoboticsTags ConsScale1 Comment on A better way to test for consciousness? I just checked: it’s been almost one million page views, more than 200.000 unique users, some nasty hacker attacks, and many of my hours. I’d say not bad, at least for a site which has been so specific and focused on Machine Consciousness and Robotics (specially Microsoft Robotics Developer Studio – RDS). Even though some of the contents of the old site might be outdated, I’ll be migrating most of them to the new blog, as I think they are still of interest for the community (this may take me some time, but don’t worry, the treasures will be saved). There are also thousands of messages in the forums, which sadly I think I cannot effectively recover (the Spanish version is gone due to problems with the old content management system and most of RDS stuff is clearly outdated). 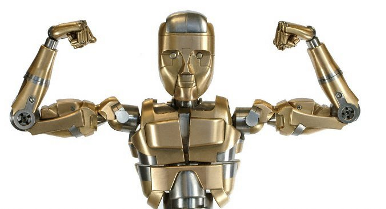 So, good bye old CR, welcome Conscious-Robots reloaded!! 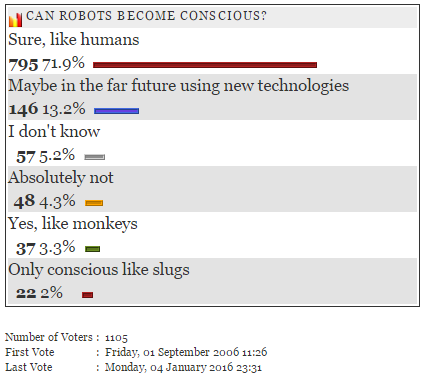 Author Raúl ArrabalesPosted on January 5, 2016 January 17, 2016 Categories Machine ConsciousnessTags Blog2 Comments on Conscious-Robots Reloaded! The workshop is devoted to the issue of artificial consciousness. In biological organisms, consciousness is considered to be the starting point for personal human understanding of the world and consequent intelligent behaviour. Therefore, if one is interested in cognitive architectures which would be biologically inspired, then modeling of consciousness becomes an important computational research topic for the construction of architectures that are strive to have equivalence with the human mind. Furthermore, both life and consciousness can be seen as emerging processes with unique properties and a particular elusive character from the point of view of scientific study. This workshop might be an excellent opportunity to review and advance the research programs focused on finding the common grounds and relationships between life and consciousness. The workshop will provide an overview of the state of the art in the field of machine consciousness. Moreover, it is intended to include contributions from designers of artificially conscious machines. Such contributions address the problem of how a given cognitive architecture should be shaped in order to include the feeling of being aware of something. It will be argued that the knowledge about the qualitative side of consciousness “supervenes” upon the functional knowledge. In other words, if our knowledge is good enough to approach the design of machines with conscious states it is also able to explain the causes of phenomenology in a general sense. The First International Workshop on Artificial Consciousness is part of the 12th European Conference on Artificial Life. Designing, Programming, Evolving, Simulation and Synthesis of Natural and Artificial Living Systems (September,2-6 2013, Taormina, Italy). We invite the submission of papers on the topics of workshop. Submit your research by June 23, 2013 to be considered for the workshop program. Submission is made through the Easychair website. The submitted papers should be no more than 3 pages long (no more than 1000 words). The papers must be prepared for blind referee, with all self-reference and personal data suppressed. In order to access the submission page, the creation of an EasyChair account will be required. Poster sessions consists of posters displayed for informal browsing with opportunities for individual discussion with authors. The First International Workshop on Artificial Consciousness will be co-located with ECAL 2013, 12th European Conference on Artificial Life, September 2-6 2013, Taormina, Italy. The workshop will take place at “Villa Diodoro” Hotel Taormina, Italy. 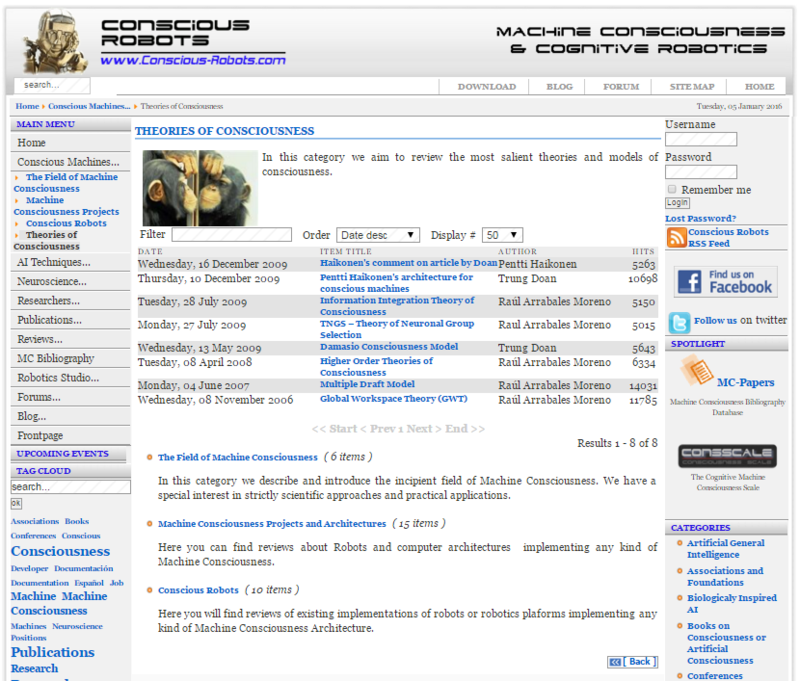 Revised versions of selected papers will be taken into consideration for publication on a special issue of the International Journal of Machine Consciousness.